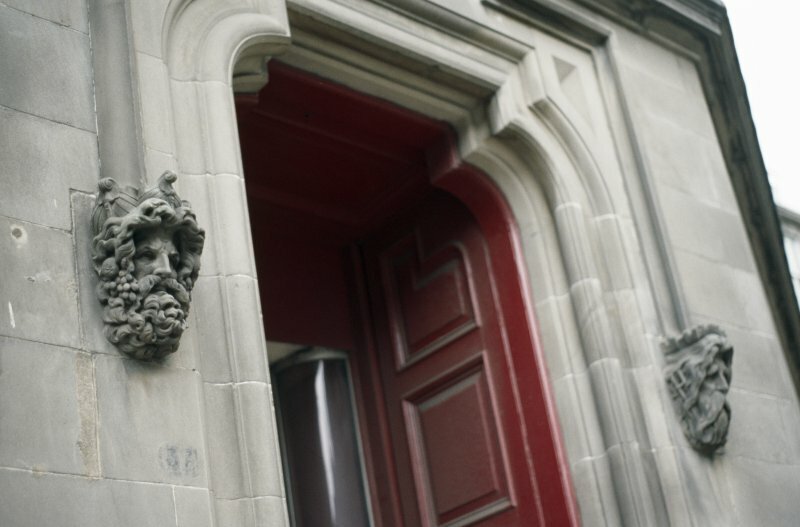 View of label-stop heads of Bacchus (left) and Neptune (right), either side of door to 37 Bernard Street. Carved heads of Bacchus (left) and Neptune (right) as label stops either side of door. Bacchus has fruit and bunches of grapes in his hair, and wears a crown made of boats. Neptune has a trident in his hair, a very long moustache, and a crown. The two gods reflect the merchants' business context: the sea, and also their pleasure context of a convivial club.